$(KGrHqJHJBoE8+zKh0MuBPZ51220gw~~60_57, a photo by bucklesw1 on Flickr. $(KGrHqRHJB!E7)t9Vr-2BPD6e21Dlg~~60_57, a photo by bucklesw1 on Flickr. No idea who these people might be. 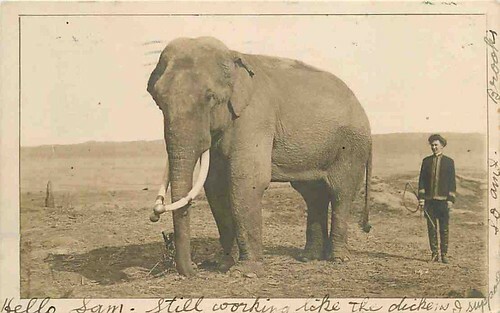 The elephant must be laying down for the picture, wouldn't need a lockhart hook otherwise. TRV2_174, a photo by bucklesw1 on Flickr. The Christy Bros. 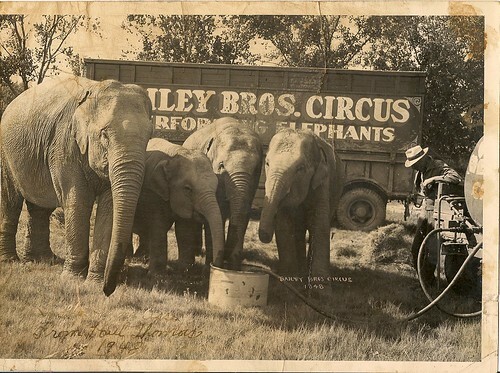 Circus elephants in the late 1920's under the direction of Vernon "Slim" Walker. $(KGrHqFHJ!8E7)76)zQSBO9kMu3zrg~~60_57, a photo by bucklesw1 on Flickr. !Be(R3FQ!2k~$(KGrHqIOKj!Ery0JkcGMBK84+C)3sw~~_3, a photo by bucklesw1 on Flickr. 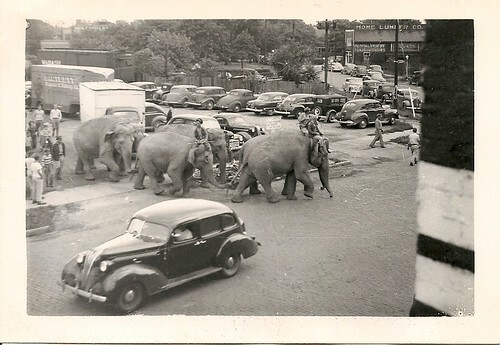 This picture was taken at the Michigan State Fair in 1953. 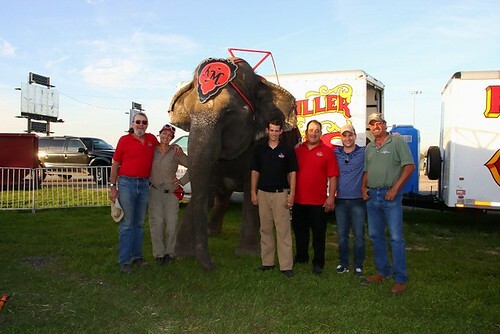 The gentleman with "Lydia" is Circus Historian Myron W. Organ from Wilmimngton, Ohio. 1555094877_a353ee816d, a photo by bucklesw1 on Flickr. Another shot from the 1953 Michigan State Fair. 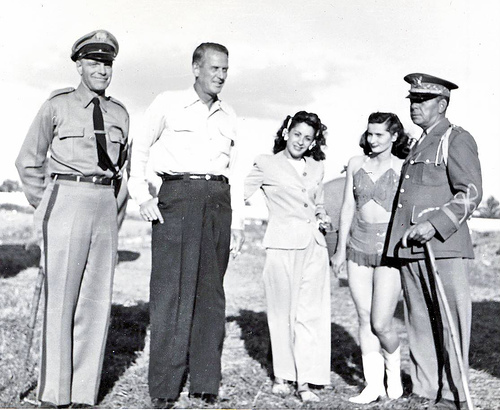 Bill Woodcock, Slivers and Jo Madison, Jean and Terrell Jacobs. 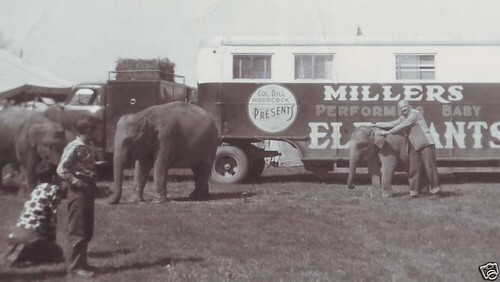 Slivers had the Tom Packs elephants in a show out on the midway however this picture was taken in the grandstand infield where ours and tthe Lion King's elephant "Jean" were presented. Hatari-15, a photo by bucklesw1 on Flickr. 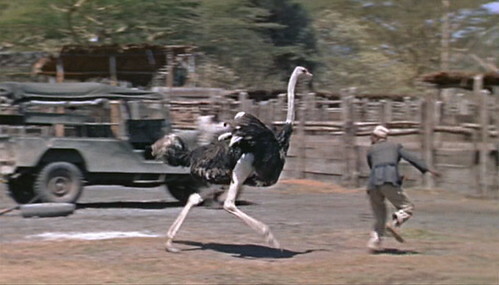 Helping to relieve some of the tension is a comedy chase involved some escaped ostriches back at the compound. Hatari-16, a photo by bucklesw1 on Flickr. 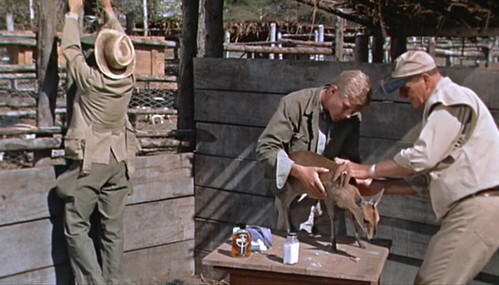 While Red Buttons engages in some unspecified action, Hardy Kruger and John Wayne prepare to extract a thorn from this small antelope. Hatari-17, a photo by bucklesw1 on Flickr. Hatari-18, a photo by bucklesw1 on Flickr. Hatari-19, a photo by bucklesw1 on Flickr. Hatari-20, a photo by bucklesw1 on Flickr. Hatari-21, a photo by bucklesw1 on Flickr. Hatari-22, a photo by bucklesw1 on Flickr. 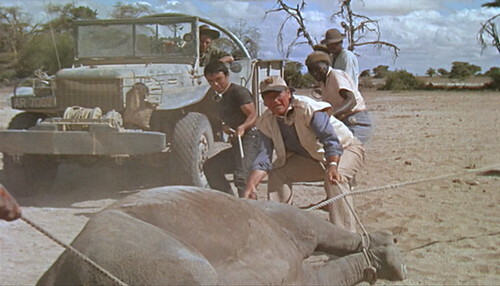 With the rhino now safely trussed up, it only remains to transfer it to a shipping crate. The “rhino jinx” has been broken. 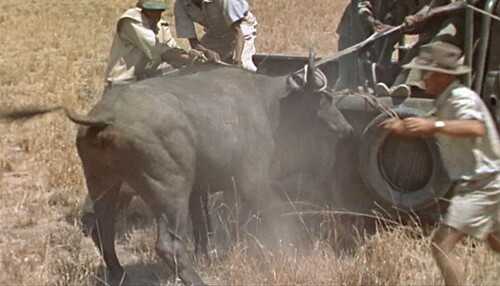 At the time production began in Africa, there was no finished script, since director Hawks want to take advantage of any unexpected opportunities that might present themselves while on location. 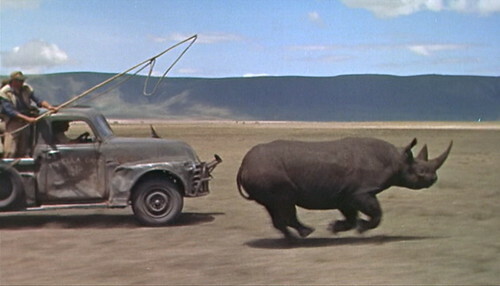 Released in 1962, HATARI was big hit and earned back many times its 6 million dollar budget. 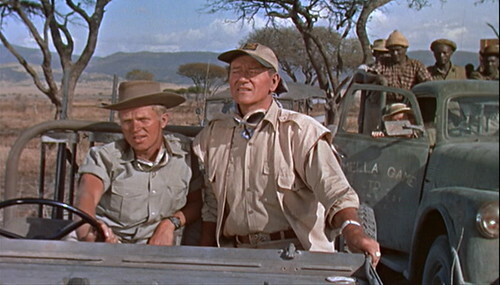 It is now available on DVD, so if you missed it in 1962, you can watch it now. SAVE0477, a photo by bucklesw1 on Flickr. You're right, I've hand raised a few of these little guys, feeding on a 24 hour scheduele. The worst thing was to having to stop while enroute and wait while Barbara heated up the formuila, consisting of secret herbs and and spices, feed thd then press on. I once asked Smokey how long it will take until she starts eating hay and he said, "As long as you continue to make that stuff she will accommodate you." IMG_0543, a photo by bucklesw1 on Flickr. 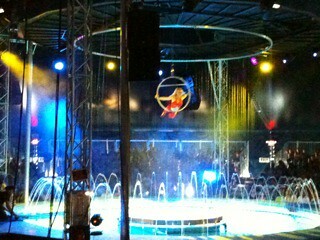 very good Animal acts and a very nice "Pirates" display. It's always a great pleasure to visit such friendly people. 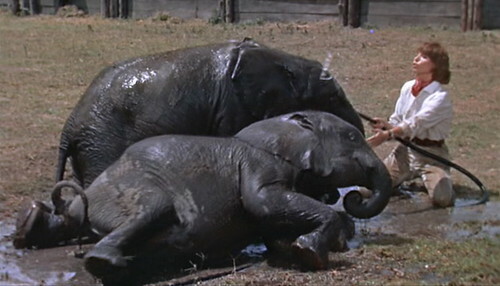 "The Flash" (Elephants), me and Mr Gary Hill. 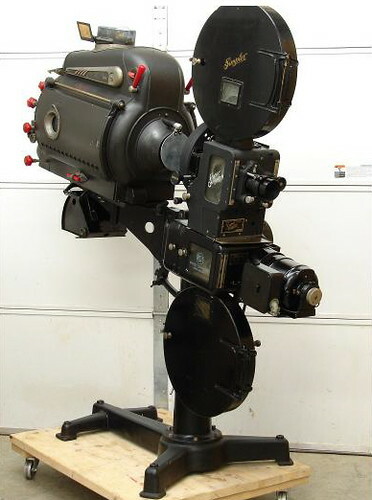 Blog%20Projector, a photo by bucklesw1 on Flickr. Hatari-1, a photo by bucklesw1 on Flickr. 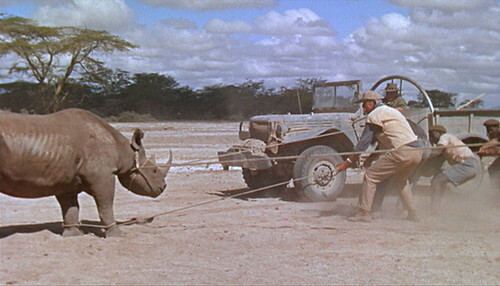 Hatari-2, a photo by bucklesw1 on Flickr. Hatari-3, a photo by bucklesw1 on Flickr. 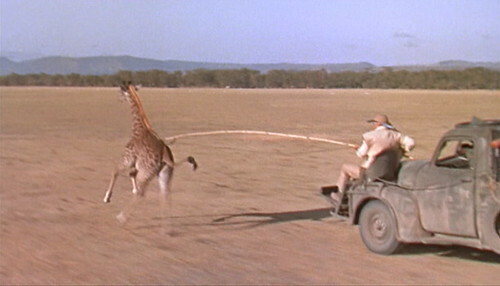 Many of the animal captures shown in HATARI involve high-speed chases, with the animals being snared or lassoed while on the run. 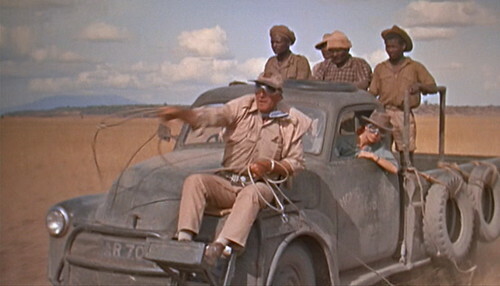 According to Howard Hawks, all the animal captures shown on screen were performed by the actual actors. 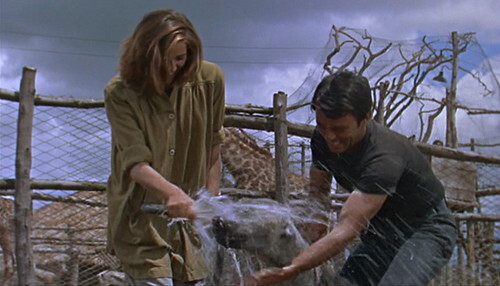 Cinematography was by Russell Harlan who won an Academy Award nomination for his work. 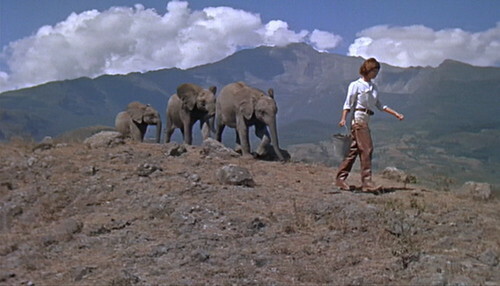 The filming was done under very dangerous conditions, with animals destroying three cameras while on location. Today, all of this action would probably be done using computers. Hatari-4, a photo by bucklesw1 on Flickr. 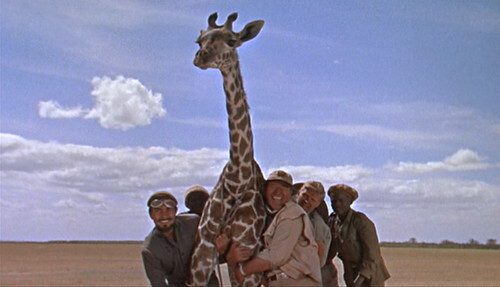 There can be little doubt that Valentin de Vargas, John Wayne and Hardy Kruger are the ones restraining this giraffe. Hatari-5, a photo by bucklesw1 on Flickr. Hatari-6, a photo by bucklesw1 on Flickr. 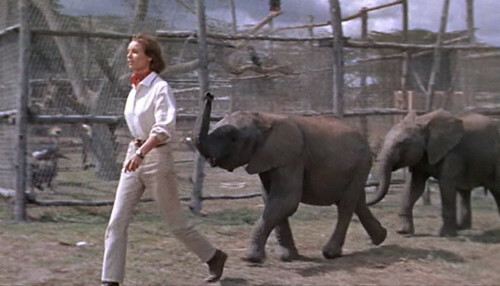 Hatari-7, a photo by bucklesw1 on Flickr. 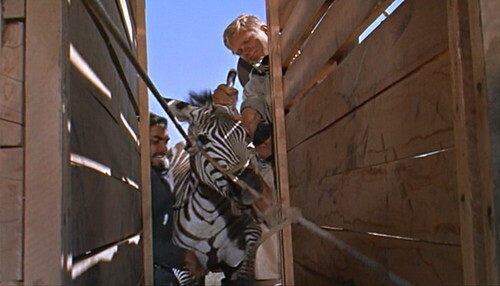 Keeping clear of its hooves and teeth, Valentin de Vargas and Hardy Kruger succeed in loading the zebra into its shipping crate. 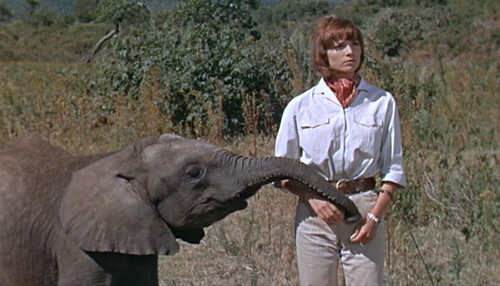 Hatari-8, a photo by bucklesw1 on Flickr. Hatari-9, a photo by bucklesw1 on Flickr. 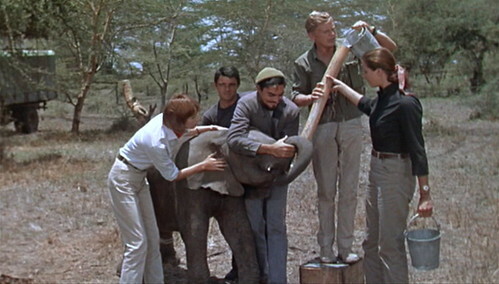 Elsa Martinelli, assisted by Gerard Blair, Valentin de Vargas, Hardy Kruger and Michele Girardon attempt to feed the little calf using a hollow piece of bamboo. Hatari-10, a photo by bucklesw1 on Flickr. 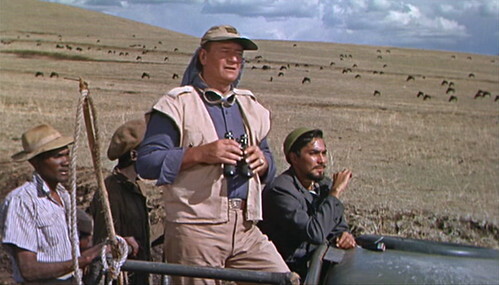 Getting back to serious business, Hardy Kruger and John Wayne scope out a distant herd of water buffalo. Hatari-11, a photo by bucklesw1 on Flickr. Hatari-12, a photo by bucklesw1 on Flickr. 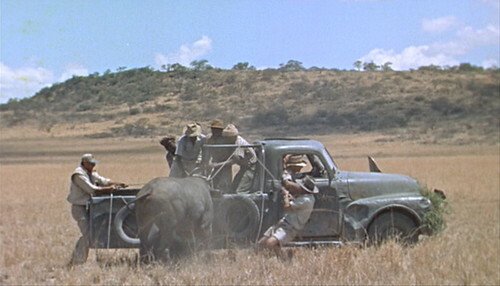 Once the buffalo is roped, the next step is to snub it tightly up against the side of the truck. Hatari-13, a photo by bucklesw1 on Flickr. 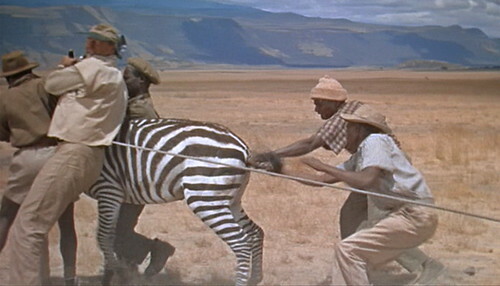 Here, Hardy Kruger places his fate in the strength of the ropes (and his co-stars). Hatari-14, a photo by bucklesw1 on Flickr. 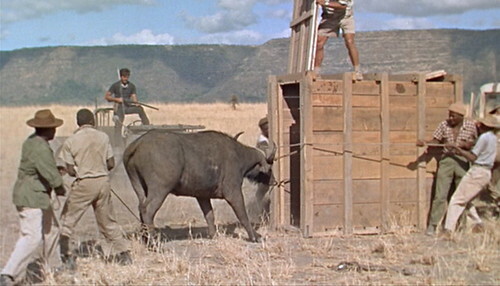 While Gerard Blair stands by with a rife, the crew attempts to load the buffalo into a shipping crate. 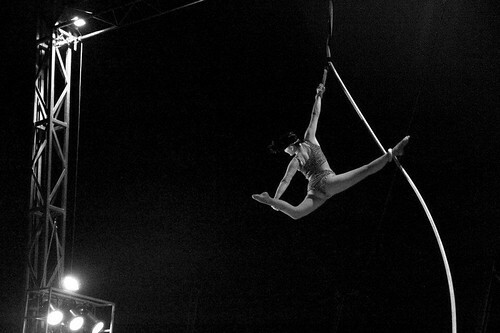 head%20trapeze, a photo by bucklesw1 on Flickr. viv%20lyra, a photo by bucklesw1 on Flickr. 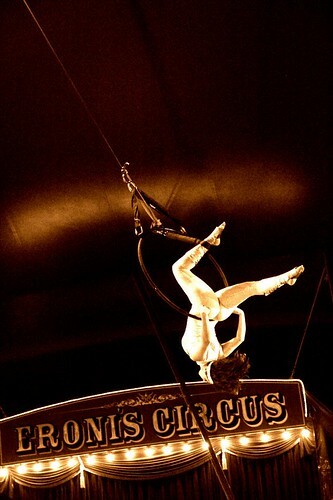 cloudswing, a photo by bucklesw1 on Flickr. Allison%20web, a photo by bucklesw1 on Flickr. ropes, a photo by bucklesw1 on Flickr. palomino, a photo by bucklesw1 on Flickr. nevada, a photo by bucklesw1 on Flickr. 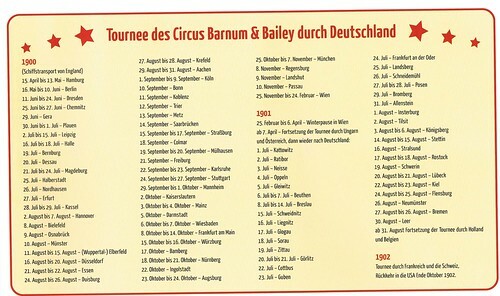 Touir%20plan%20Ringling%20Germany2, a photo by bucklesw1 on Flickr. 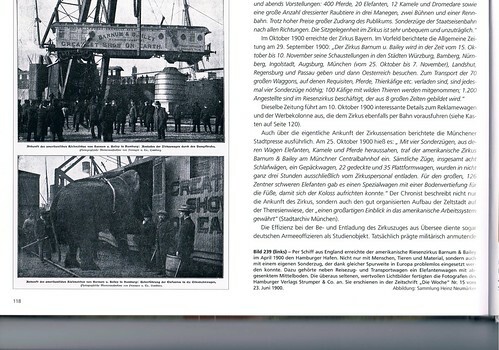 to Hungary from there and then went back to Germany until the 30.August 1901 where the closed in a town named Leer which is close to Hamburg. why the would play a town like that. After that the went on to Holland and Belgium and in 1902 the toured France and Switzerland. On the end of October 1902 they went back to the US. talking about the good old days!!!!. 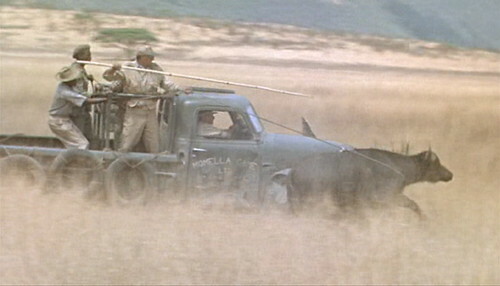 The car was 58 ‘ long, 7’ wide and 9’ high and had two 4 axle bogeys. In a town like Munich the hang 10.000 posters and hangers in about a weeks time. Starting at 6 am with a short breakfast in a Guesthouse and finishing at 6 Pm for the day. Talking about the good old days!!!! 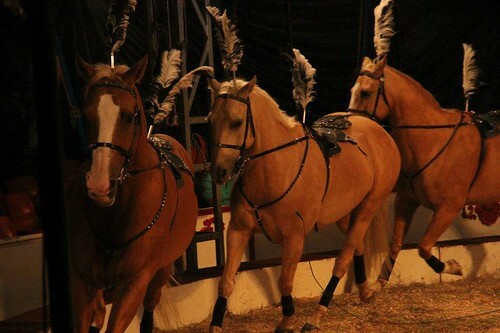 Tour%20plan%20Ringling%20Germany, a photo by bucklesw1 on Flickr. IMG_0595, a photo by bucklesw1 on Flickr. 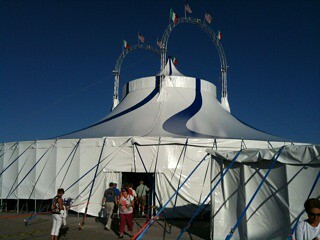 fundraiser for Venice Circus Arts Foundation to help save the old Venice Circus Arena. 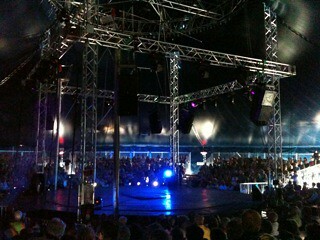 There was no program, so I have not idea who was performing. 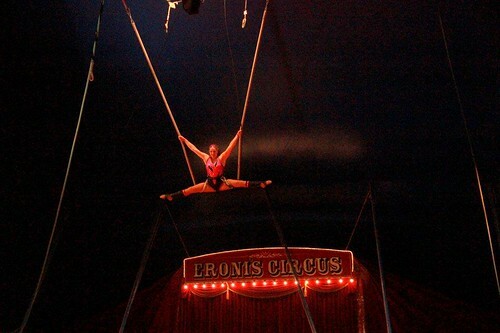 The lady in the high wire act also sang. Both went up the inclined guy wire to the rigging. standing on his shoulders singing. I've never seen that before. with a couple of standing ovations. IMG_0592, a photo by bucklesw1 on Flickr. IMG_0585, a photo by bucklesw1 on Flickr. IMG_0584, a photo by bucklesw1 on Flickr. jjjones5, a photo by bucklesw1 on Flickr. 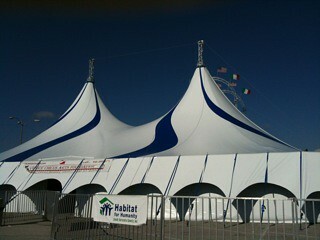 I am sending this to as many circus & carnival fans as I can. 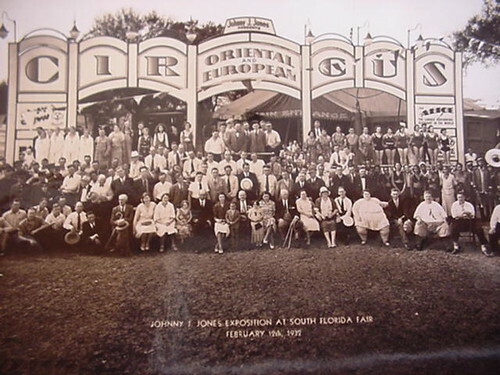 Outdoor Amusement Business Assn. needs your help in contacting your U. S. House of Representative members & your U. S. Senators immediately about legislation intended to temper or stop the Department of Labor's rule that could make the use of foreign labor next to impossible. Please go to the following website: www.carnivalwarehouse.com/ & @ the top click the message board category & then when the page comes up; click Amusement Industry Discussion & scan down to the topic of URGENT REQUEST FROM YOUR OABA & then read carefully. Please do what is requested of you as this is important for the major circuses, carnivals, as well as tourist resorts, amusement parks & the fishing industry in the Gulf in the U. S.
Bailey%20Bros_%201948, a photo by bucklesw1 on Flickr. Hope this finds you and Barbara in good health and high spirits, and the rest of the family doing well. 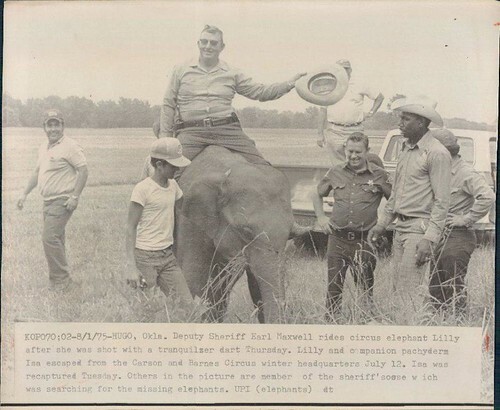 I remembered reading that your Dad worked the Bailey Bros herd, and thought you might enjoy this photo. I received it as a gift earlier this week. The inscription at the bottom left hand corner reads: To Showmen's Assn. From Paul Thomas 1948. 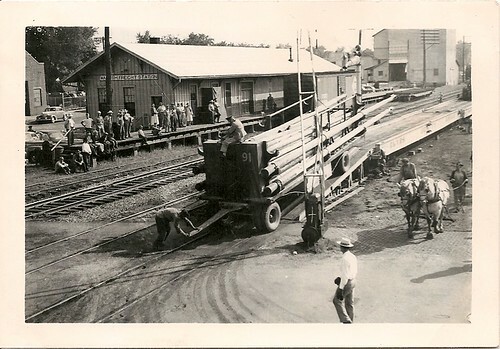 On the back of the photo is noted El Monte, California 1948. 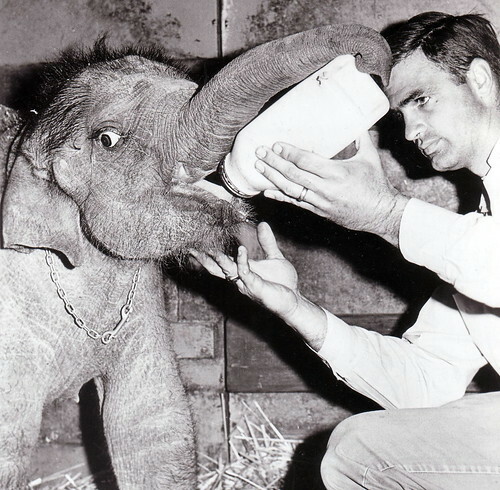 I do not know if Paul Thomas was the photographer. The photo is a treat for me to have, as I remember throwing hay to three of the four girls pictured here, when Oscar Cristiani wintered them at Jon Tarzan Zerbini's place on Packinghouse Road in Sarasota many years ago. 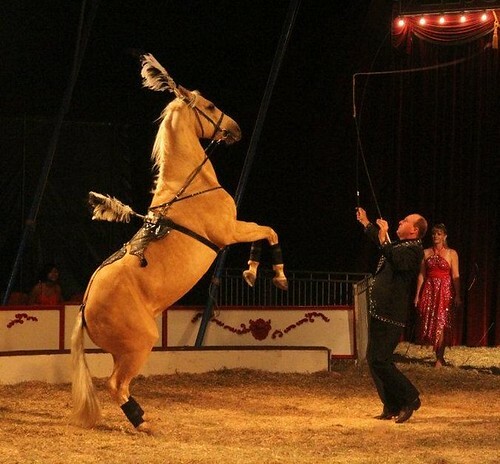 I also helped Carin with the walking long mount on the Hanneford show, when her and Philip would be topside. I will be sending you a few photos of the Clyde Beatty railroad show that I was also privileged to receive. A big thank you to yourself, Shannon and all contributors for sharing so many wonderful photographs and historical tidbits. Pole%20Wagon, a photo by bucklesw1 on Flickr. 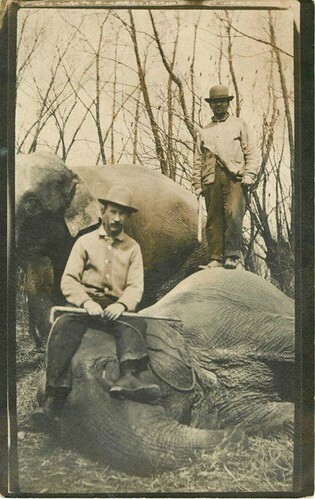 As a follow up on the Bailey Bros elephant photo, I will travel to Iola, Kansas this week to see what I can learn of their 1947 visit to Riverside Park. I have heard the show scored some heat on occasion. String%20of%20Flats, a photo by bucklesw1 on Flickr. Big%20Top%20Crew, a photo by bucklesw1 on Flickr. 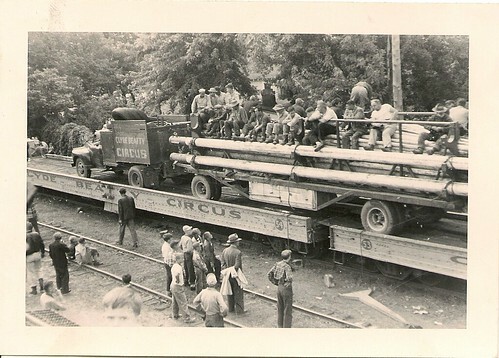 Clyde Beatty Circus - - Workingmen hitching a ride on the pole wagon (back of the photo reads Rhinelander, Wisconsin 1953, which according to my route sheet would have been on August 5th). Herd, a photo by bucklesw1 on Flickr. I would date these somewhere between 1949 and 1951, as they are travelling the former Sparks wagons and still utilizing pullover teams. 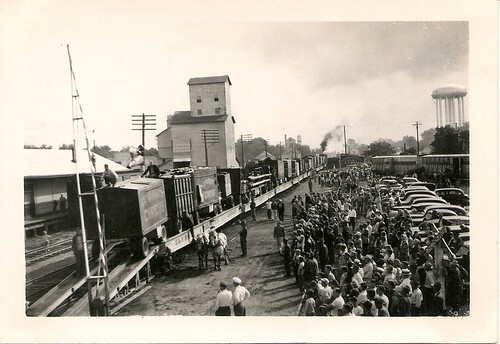 The Wabash Railroad appears to be the carrier, which primarily ran through the states of Missouri, Iowa, Illinois, Indiana, Ohio and Michigan.